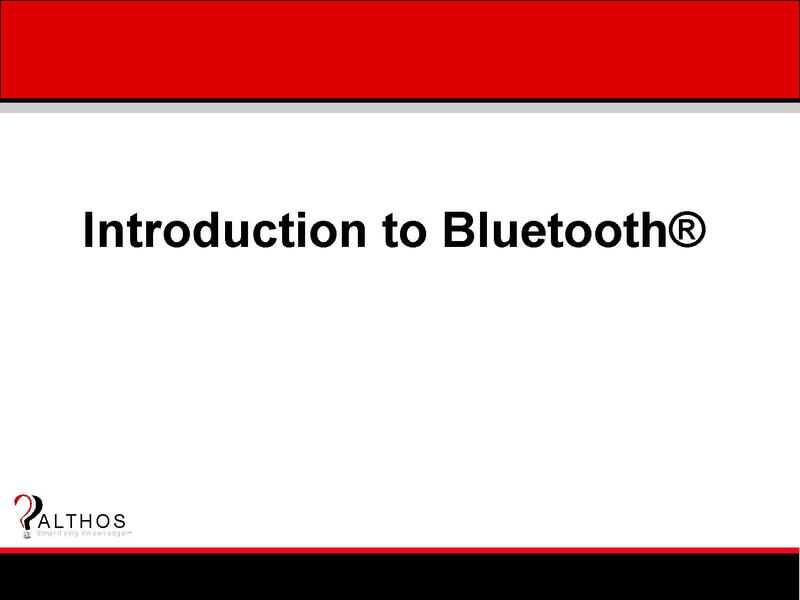 This tutorial provides a simplified description of Bluetooth technology, services, and profiles. You will find out how Bluetooth devices automatically locate nearby Bluetooth devices, authenticate them, discover their capabilities, and the processes that are used to setup connections with them. The modulation types and packet structures are explained along with how the use of multislot RF packets can dramatically increase the data throughput between devices. Learn how enhanced data rate - EDR - can increase data transmission rate from 1 Mbps to 3 Mbps. The protocol layers are explained including the RF baseband (physical), link manager, L2CAP (transport), and upper session and application layers. This book explains how Bluetooth devices can locate, authenticate, discover the capabilities, and setup connections with other Bluetooth devices. Radio packet structures, modulation types, and protocols are described and explained along with Bluetooth security pairing (authentication) and privacy (encryption) processes.